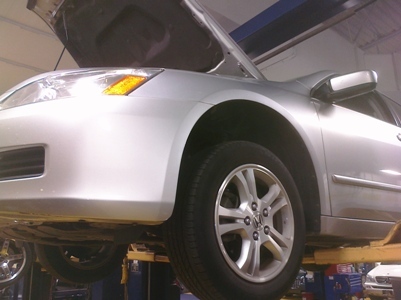 © DenLorsTools.com Summary: Auto repair article with information on the Honda Accord check engine light with a fault code of Po441 or P0135. Code definition and location of sensor when this code is stored in the vehicles computer. Car repair tips including how to access electrical plug for oxygen sensor past catalytic converter and which type of specialty is used for the sensor. Oxygen sensor wrench with open slot for wire. 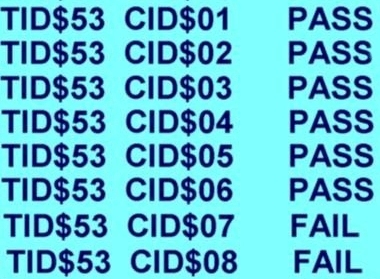 OBD II fault code P0141 definition. The error/fault code is for Bank 1 Sensor 2 means that the heated circuit built into the O2 (oxygen sensor) is not functioning as designed – usually an open or shorted circuit. Fault code P0135 has the same definition except it is Bank 1 Sensor 1 which is the sensor before the catalytic converter on a four cylinder. Before the cat on side of engine that has cylinder #1 for 6 cylinders. 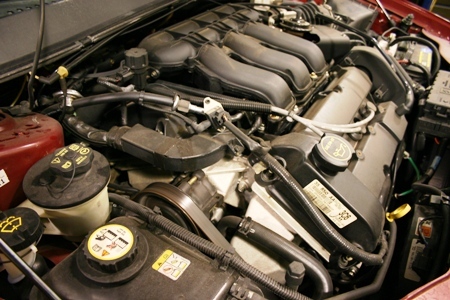 Normally the O2 sensor is heated up internally to lower the amount of time it takes to reach operating temperature and go into “closed loop.” Vehicles naturally are more efficient when the computer has control of fuel mixture and this is best when the system is in closed loop. With the heater built into the sensor, the car can go into closed loop faster than if it had to wait until the heat of the exhaust warmed the sensor enough for it to work. If the computer sees that it takes too long to go into closed loop and parameters for other circuits (like coolant temp.) are within specification, it will trigger a warning and command the CEL (Check Engine Light) to come on. Oxygen sensor wrenches and sockets are available to make changing them easier. 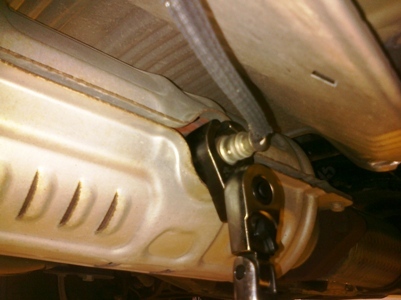 If the sensor is out in the open, a regular 7/8″ wrench can be used to replace the sensor. Otherwise, specialty tool like an O2 sensor wrench or socket makes removal and installation easier. Sometimes the heat shield can make it more difficult to access. Most sensors require 7/8″ although there may be a few exceptions. The oxygen sensor past the converter on the Accord pictured has a long wiring harness that goes through the floorboard, with the plugin located underneath the right passenger seat. Moving the RF seat all the way forward eases access to the plug. Note that 4 door Accords and 2 door models have different length wiring harnesses. If using ant-seize on the threads of the replacement O2 sensor be careful not to get any on the sensor end, this may affect readings. With a scan tool and a few simple tools usually this repair can be performed by anyone with moderated mechanical skills. Linking: Please reference this auto repair article when quoting, linking to this page is welcomed and appreciated. If you are new to linking a page. 1. Left click the link; to highlight 2. Right click, select copy 3. Right click and paste to forum, blog web page etc. Thanks! Disclaimer: Repair tips are designed for informational purposes only, without warranty of any kind, in no event shall the author of this site be liable for any consequential, incidental or direct damages sustained in the course of using the information in this article. No just means the heated portion of the Oxygen sensors are not working. Your delay in acceleration is unrelated. I would first check fuel pump pressure and make sure the catalytic converters are not restricted then go from there. Good Luck. I would check the fuel pressure anyway. And make sure the exhaust is free flowing. 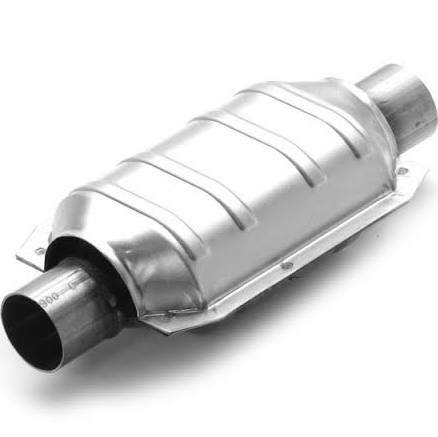 The catalytic converter are part of the exhaust (it’s in the picture, the Oxygen sensor is screwed into it). When you take it to the shop I’m sure they will be able to check everything for you. The pressure can be checked using a exhaust back pressure kit screwed into where the Oxygen sensors go. BTW that would be a good time to have yours replaced sense they will be out anyway and you have these codes. Thank you sir, but the last time I took the car for servicing, the exhaust was checked but it kept showing is p0135,p0141. Please can an exhaust expire? I have change my fuel over six times now, and please what is catalytic converters, please help me out. 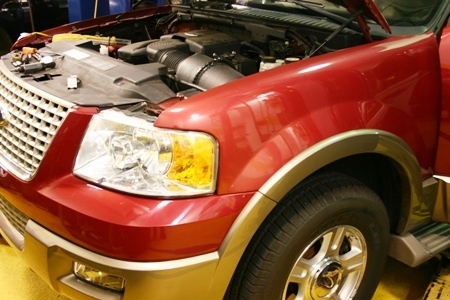 If the fuel pump keeps failing, there may an issue like a rusty fuel tank. The codes have nothing to do with the exhaust. As the article says, the codes are for the heater circuit for the Oxygen sensors. The oxygen sensor in the picture also shows the catalytic converter. A restricted exhaust is only ONE possibility of a problem that COULD cause a car to bog and not accelerate properly (may not be your issue). There are many-many things that can cause the problem you are having. Could be injectors clogged, a bad TPS (Throttle Position Sensor), a wiring issue, a BUS Communication issue, ECU problem etc. It’s just not possible for anyone to diagnose without physically working on the car and running some tests and looking the car over in person. I suggest taking the car to the shop and having your technician take a look at it. Sometimes it’s better to pay for a proper diagnosis rather than throwing parts at the problem. I had the P0141 code and had the sensor changed at Sears auto center. Now the engine light is still on, still getting the code, and as soon as i started the car at sears, the airbag SRS light won’t go off either. now what? It’s possible they cahnged the wrong sensor. The SRS is not related. Good Luck. My 97 Honda Accord is kicking out both P0141 and P0135. I understand what i need to do to fix this. I am just curious if you or anyone knows if these code will cause a car to fail Emissions test (I live outside of Seattle WA)? As to the guy with the acceleration issues, my accord was also gutless till i found out that my Transmission had no fluid in it. I believe it was low prior to me having to replace my Radiator and the Hose clamps for my Transmission cooling lines weren’t on completely. But what I was getting at is I was kicking a code for the torque converter until I refilled my Transmission back to the full point. I now have more of a get up and go. So it could also be something to do with your Transmission. Mine also shifted hard and now it shifts a lot smoother. If you have the money to take your car into the shop that’s what I would do. Fortunately my dad was a certified mechanic for many years, so I just take them to him or ask him what his opinion is a to whats wrong. Again my main question here was will p0141 and p0135 cause my car to fail Emissions test? Yes, it would fail. If the CEL is on they mostly would not even test the exhaust emissions. If they did, it would still fail because the computer cannot adjust fuel and air mix properly if there’s an issue with the Oxygen sensor or sensors. Good Luck.